I know this was posted somewhere in the past, but for the life of me (OK bad joke) I can't find it. FWIW it's my '91 GTZ. They have been in for over a year and still are not wired up correctly. It is not the end of the world, but it would be nice to get them working correctly. Either that or I am going to take them out, wrap them in 100 yards of bubble wrap and they go into the closet. Hold on... I have it somewhere. My old write up I found. This was done on a 95, 96 I know is different regarding the blinker style and location but older may be the same as 95. The pin location for the white wire is missing.... I never got that info. I'll check tonight since mine is all torn apart right now. 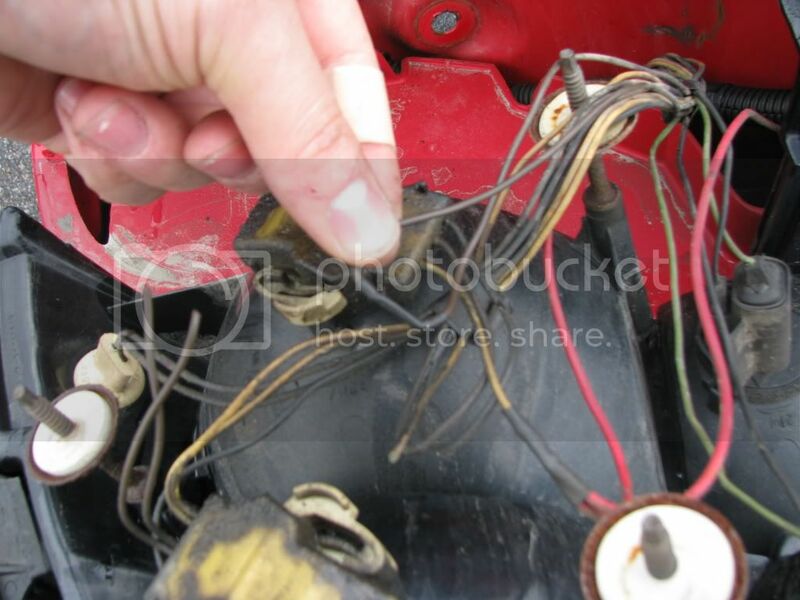 Euro tails wiring: The Correct Way. Obviously 1 and 2 exist, but 2 are paired up with 3, so you need to separate that into individual functions. Step 1, REMOVE brake light function to rear tails. 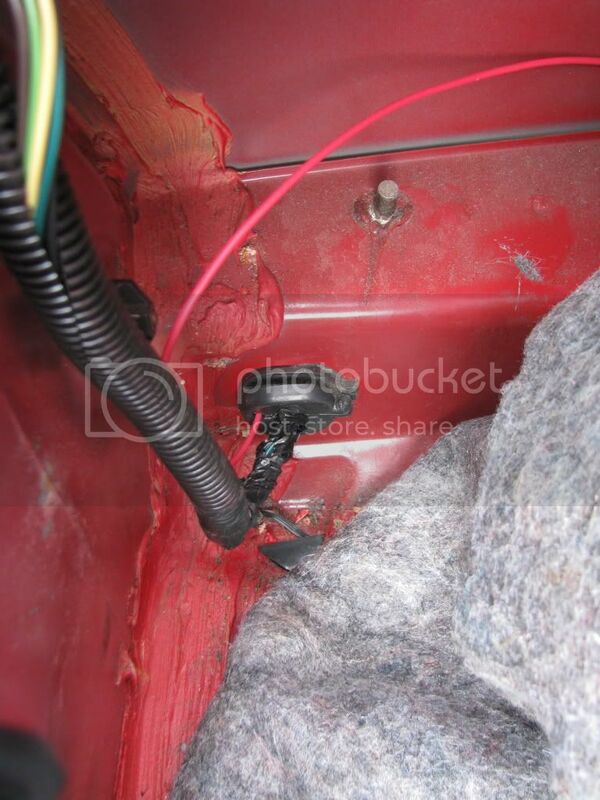 Going under your dash on the driver’s side, remove the lower panel and the panel right below the steering column. Find the flat wide connector coming down the column from you blinker switch, you need to snip one wire OR you can pull the pin and cover it if you wish to not cut wires. 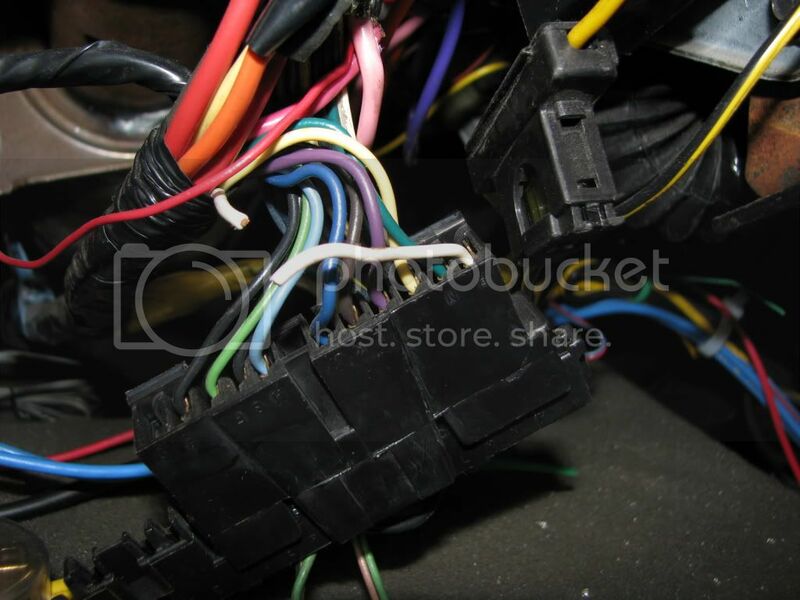 The wire is a White wire and should be at pin location ____. This is the “brake input” to the blinker switch. Once that’s removed your tails should now only function as blinker lights. Step 2, isolate which bulbs perform what function on the tails. Ok now this is personal preference and can differ from setup to setup… Factory Euro setups have this setup, Upper bulb (amber section) Only blinks and does not come on with parking lights, Lower bulb (Red Section) functions as a parking light and brake light. To get this setup three things need to be done, remove the parking light wires going to the top bulb, remove the turn light function from the lower bulb, and re-create the brake light only circuit for the lower bulbs. 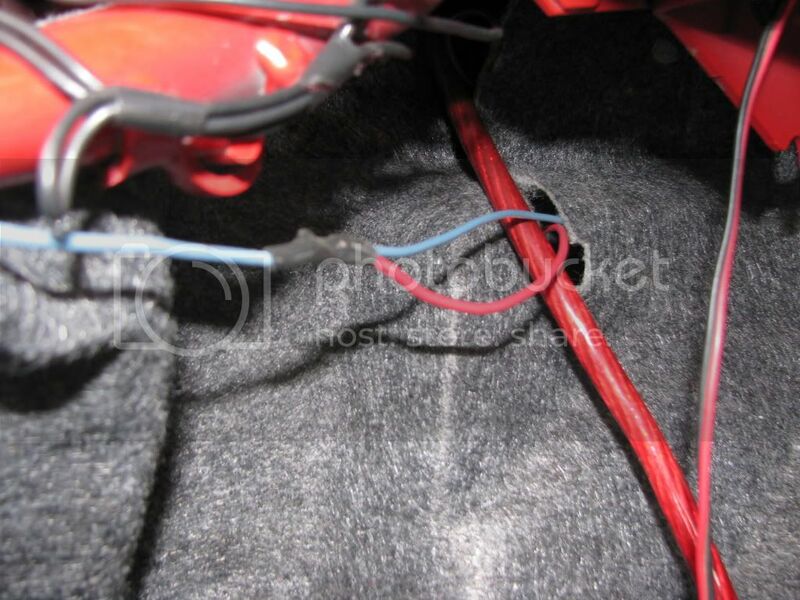 For the lower two bulbs, you need to cut the high level inputs, or the “turn signal input”, This will be a Yellow (R) and Green (L) wires, if they are dual wires you need to do the same as above and connect the harness side together to keep circuits complete. Leave enough wire off the socket for the next step. Test it… You should have top bulbs acting as blinkers only, not parking, not brake, and the lower bulbs will be functioning as parking only right now. 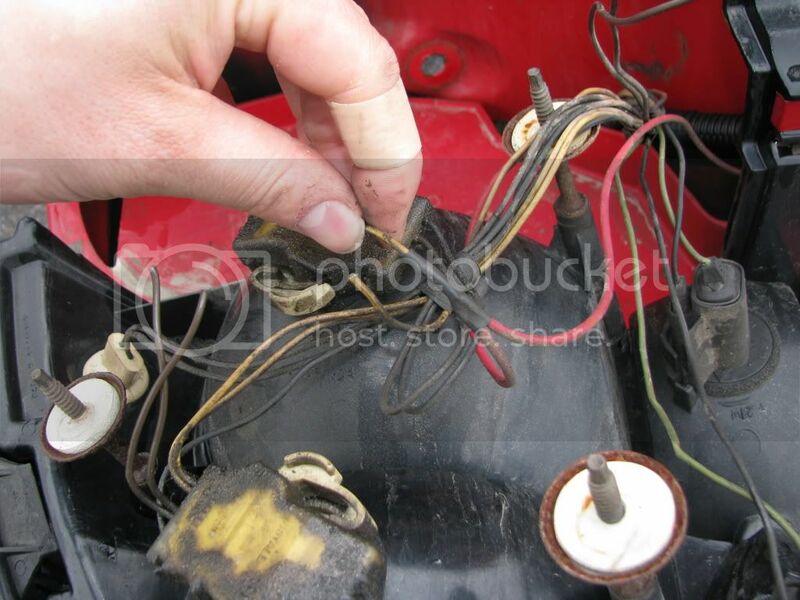 Ok, well you need a brake light circuit right? Guess where that’s coming from, that’s right the good Ole third brake light. The third brake light is a dedicated circuit directly from the brake pedal; it works regardless of what direction you’re tuning so it’s just what we need. You need to splice into the wire going to the third brake light, (Blue) and then send that out the bulkhead that’s in the left rear quarter area, this goes out to right behind the left corner of the bumper, once you run that wire through that bulk head you are going to run it to both lower tail light bulbs, connecting the two together, so run a wire to the left bulb, and then junction another one there to go to the right bulb, you will be connecting the yellow and green “circuits” together and that’s perfectly fine, since you want both bulbs to function the same. 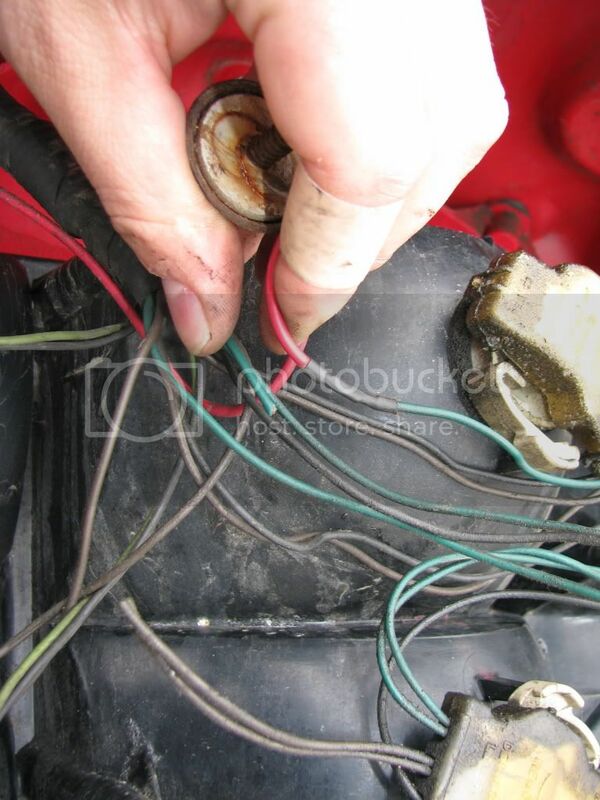 Now the hard part Step 3, Find and replace your blinker with an Electronic or HD one. 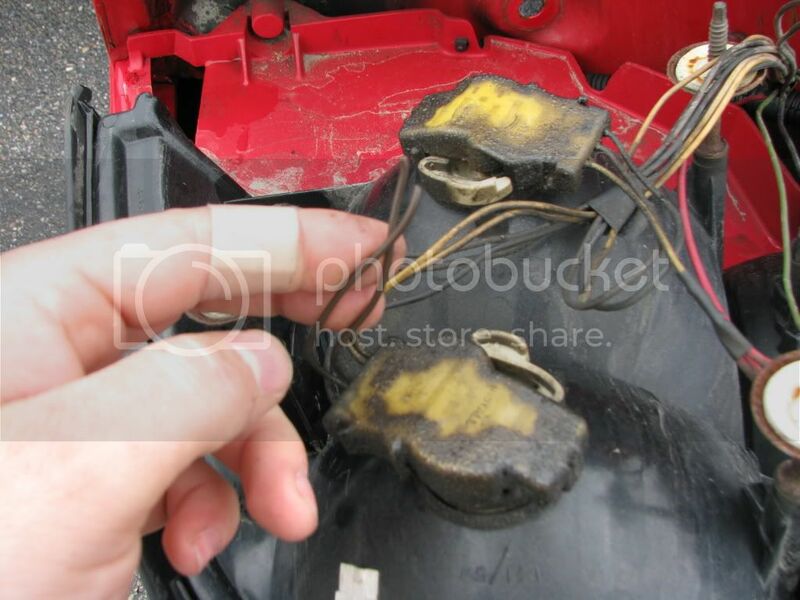 Factory blinkers require a min of 3 bulbs on the circuit to blink, you now only have 2, so you need to replace that thermal POS blinker for a HD electronic one, the will blink with as little as 2 bulbs, and max of 12 or 24 on the circuit… SO if you burn out a blinker you should STILL be notified by the good ole solid blinker syndrome… I have yet to have that happen to me to prove its right though. On the pre 96 cars the blinker is NOT on the courtesy module, it’s on a standalone tail that’s clipped up under the dash, you need to dig for it, Picture below of the electronic one installed on the tail, The 96’s cars have it right on the courtesy module, Now I’m not sure but I believe you still need the HD one but it’s a slightly different part number, since it’s a 3 pin flasher and not a 2 pin one. I’ll post Part numbers when I find them, but that flasher is much easier to find and replace. Once again Test all your lights and make sure your brake lights work and the blinkers also work. 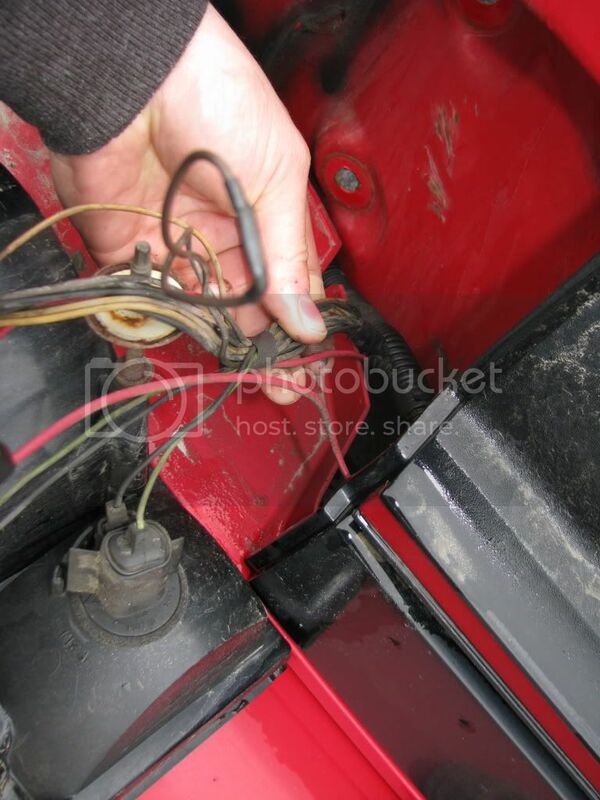 Example of what I mean if you have to cut a dual wire going to the socket... Reconnect those dual wires on the other side that you cut. And my approximate 95 flasher location, its just on a tail and clipped under the dash it's not on the courtesy module. Thanx Jon. Now I have something to do this weekend. 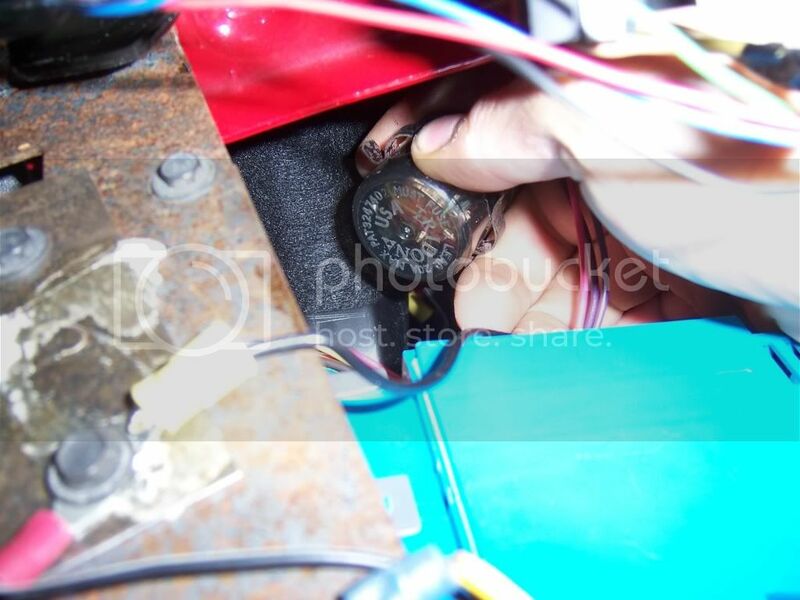 Posting this made me realize I'm right there doing under dash stuff, whats adding one more wire to the rear of Pinky... I think it's time to Euro it. So I assume as there is only one function for the signal light, the bulb should be changed to a single element unit. Or does that require a different socket? Last edited by Asylum on Wed Aug 06, 2014 10:24 am, edited 1 time in total. Only if you have a single element socket that would fit that turn lock... and I don't think you do, so in order for the light to make proper contact you need to unfortunately leave a dual filament bulb in there. I know its an older thread but I had an idea. Because you still use a dual filament bulb in the turn signal socket, why not wire both filaments in 1 bulb to be the turn signal lamp? Then the factory flasher would still function as designed because the rear will look like it still has 2 filaments to flash. Edit: I just tried it, it doesn't work. lol fail. HD Flash is needed.